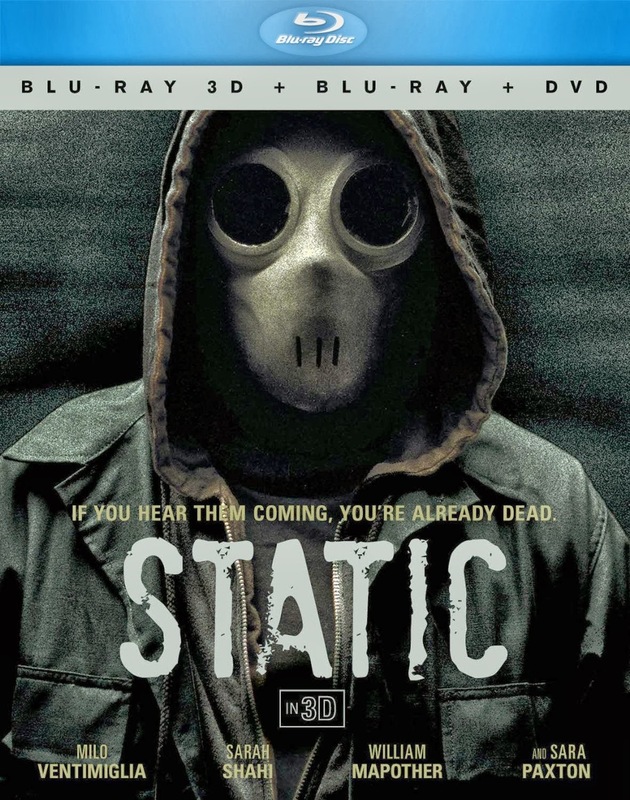 Aside from an awful ending that explains everything perfectly, there are many issues with Static. The first problem is the lack of excitement. When the intruders finally do attack, it can get suspenseful, but it takes far too long for this to happen. And once it does happen, there isn’t much at stake when the intruders don’t seem determined to hurt anyone as much as just stalk around their property menacingly. Stylistically, Static has a great deal going for it, though there are just too many random ideas in the dreary screenplay to highlight them properly. The bonus features include writer, producer and editor’s commentary track, making for a commentary with many random voices floating around. The Blu-ray 3D release includes three discs, with an additional 2D Blu-ray and DVD also included. The odd thing about this movie is the minimized effect that the 3D appears to have on the visuals. Much of the film seems indifferent to the medium.